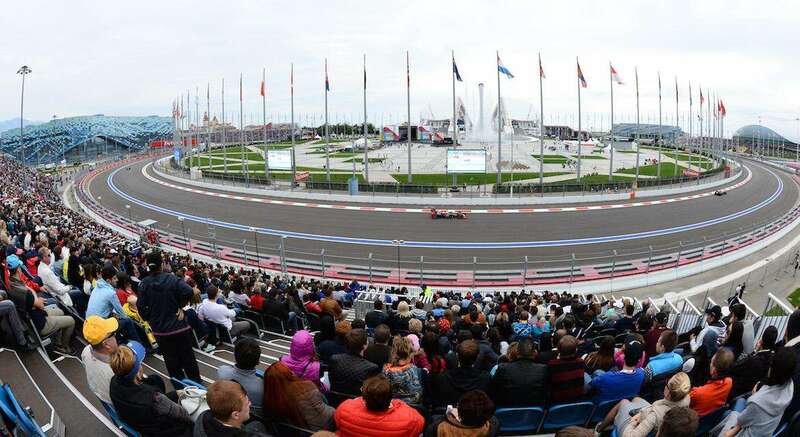 Your trackside guide to the Sochi Autodrom for the Russian Formula 1 Grand Prix. The next race is scheduled for September 28-30, 2018. 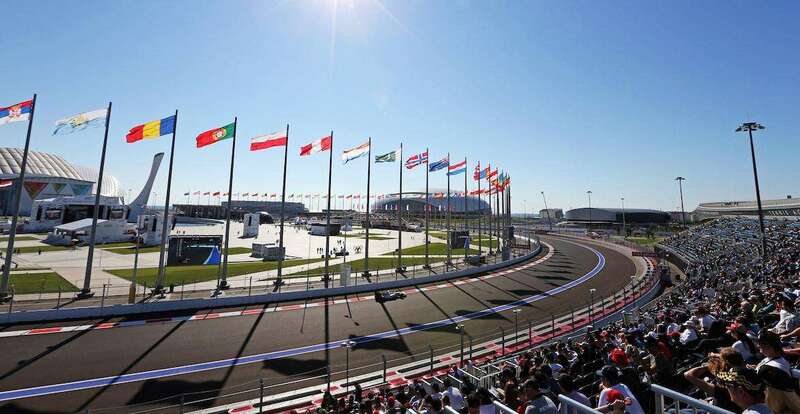 The Sochi Autodrom circuit is built around the Olympic Park, which is where several state-of-the-art venues built for the 2014 Winter Olympics are located, including the Bolshoy Ice Dome and the Adler Arena speed skating centre. This makes for an interesting trackside experience, especially for Olympics fans! Sadly, entrance is restricted for some sections depending on your ticket, and there’s a decided lack of English-language signs. English is not widely spoken at the track either, so it pays to have a translation app at the ready on your smartphone. Several gates provide entrance to the circuit. Spectators are not allowed to bring in any food, alcohol or glass bottles. Only 0.5l water bottles are accepted. Other prohibited items include flag/banner poles longer than 1.5 meters, folding chairs and cooler boxes (this is not Spa), plus all the usual dangerous items that you have no business bringing in anyway! Bag checks are conducted on entry. 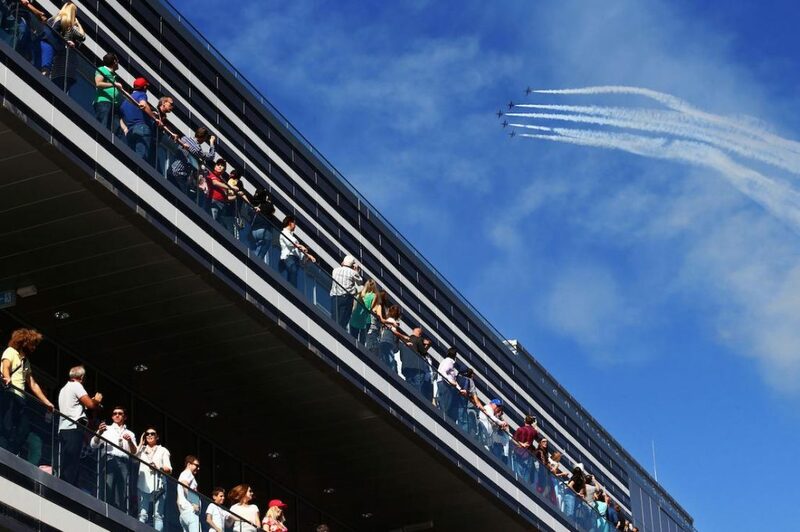 In addition to over six hours of Formula 1 action over three days, the on-track schedule for the 2018 Russian GP includes support from F1’s two main feeder series, Formula 2 and GP3, both of which stage a feature race on Saturday and a sprint race on Sunday. The program at Sochi Autodrom kicks off with two pitlane walks for 4-day ticket holders on Thursday, as well as a drivers’ autograph session. The latter, which is TBC, should take place in the central square of Olympic Park. The F1 Village is located behind the Main Grandstand. This is the place to go for the best food and drink, and to buy merchandise. There’s also a game zone with simulators and a children’s area with entertainment. The organizers also put on various displays around the Olympic Park on Grand Prix weekend, including extreme sports, trick motorcycle riders and a “musical fountain show” after dark. There’s not one, but two car museums within the circuit grounds, both of which are free to F1 ticket holders! The Sochi Autodrom museum is focused on racing cars from around the world, whilst the Sochi Automuseum is more about obscure Russian cars from the communist era. Concerts take place on the big stage of the Olympic Park central square on Saturday and Sunday nights. The headliners have yet to be announced, but don’t hold your breath for the appearance of well-known international acts; this will be Russian music for (the mainly) Russian fans. Sochi Park is a theme park within walking distance of Olympic Park. Adult tickets cost 1350 RUB (22 EUR) and tickets for children aged 5-12 are 1050 RUB (17.50 EUR). Over 100 food and drink stands are located around the circuit. The F1 village behind the Main Grandstand has the best selection, but there are also dedicated cafes and restaurants, including a pizzeria inside the Main grandstand (near Gate A) and cafes inside the Bolshoy Ice Arena (for General Admission fans) and the Adler Arena speed skating centre (near grandstand T3). A “gastronomic trip around the world” is also on offer near grandstand T2. Sorry, we don’t have any information on the prices of food and drink. Learn more here. Been to Sochi Autodrom? Leave a comment with your trackside experience!